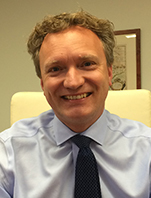 Thor A. Talseth is a managing director at AMERRA Capital Management where he co-manages the PE strategy and is a voting member of the investment committee. As a former senior executive of public and private agri businesses Mr. Talseth brings a hands-on approach to investing in and adding value to portfolio companies. Prior to joining AMERRA in 2015 Mr. Talseth was founding partner and managing director of Neptune Partners, an investment management and advisor company focused on the international seafood and aquaculture industry. Mr. Talseth has more than 20 years of experience from the international seafood and aquaculture industry as investor, senior executive and as a sector focused senior investment & corporate banker. Prior to Neptune Partners, Mr. Talseth was head of the corporate finance seafood team at Arctic Securities, executive chairman of the public marine biotech company AquaBio Technology, managing director and country manager of Landsbanki Norway hf. and CEO of the OTC listed aquaculture company Fjord Marin ASA. Mr. Talseth earned his bachelor of business from Trondheim Business School. Mr. Talseth has been a speaker at and organized industry focused investor conferences in New York, Chicago, London, Oslo, Hong Kong and Singapore. He has with his life-long commitment to the international seafood and aquaculture industry strong industry knowledge and a global network. Mr. Talseth is the Chairman of the Board of Andromeda Group and Biomega Group.